Let me first summarize this review as this; Big things come in small packages. 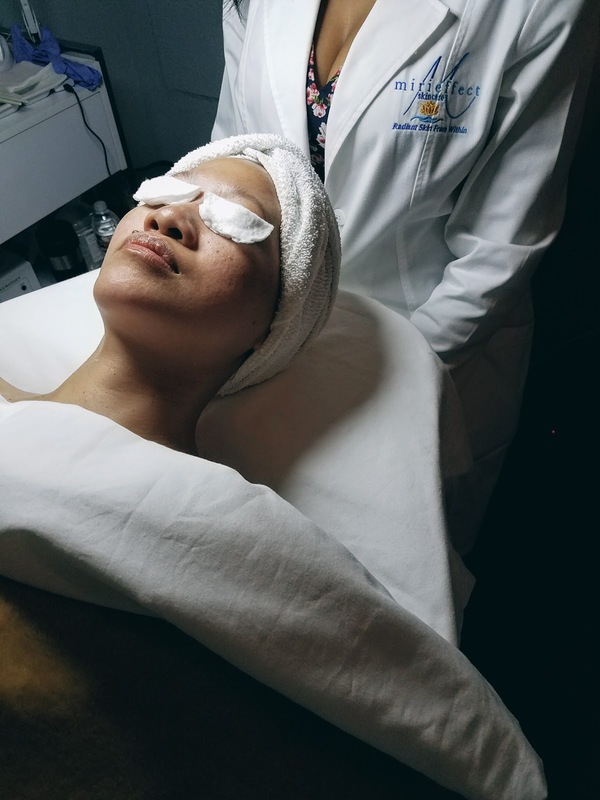 Last Tuesday I was able to have some mom time off to enjoy the MiriEffect Signature Facial with Onyi, the founder and #girlboss of MiriEffect Skincare. 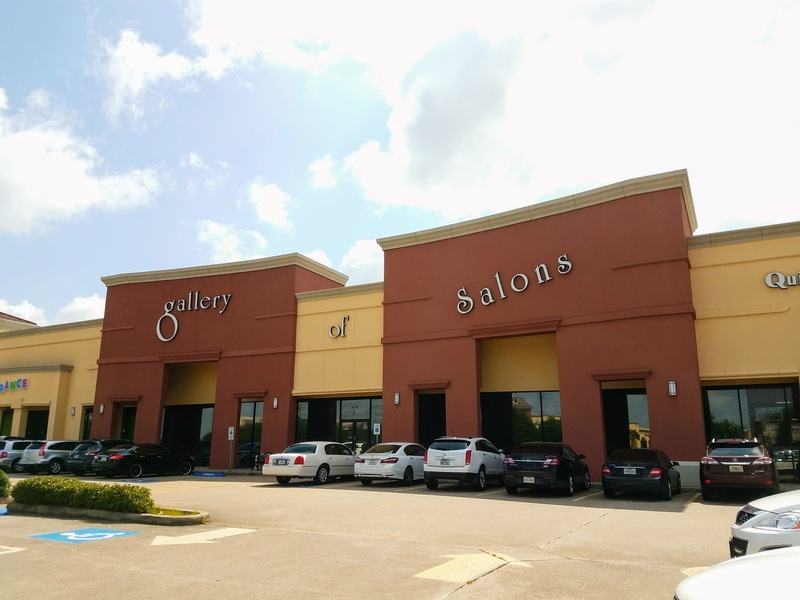 Located in the Gallery of Salons, which is literally a space filled of individually owned mini shops, from hairdressers, nail salons, and masseuses. Essentially your one stop shop for your beauty needs while supporting some small business owners. Upon entering the room is quaint and really it's all the room you need to get comfortable, enjoy a glass of sparkling water, and get ready for some relaxing time. It starts business as usual with filling out an in-depth questionnaire regarding your skincare regime. While getting changed, Onyi studied it and was ready to get to work on getting my face back into tip top shape. After a steam cleaning, Onyi examined my skin and decided the best way to treat my skin. 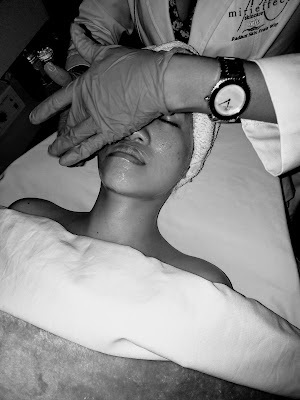 The treatment included some extractions, a yummy coconut smelling exfoliating mask and a facial massage. It was the ultimate mom break, and Onyi was professional and friendly the whole time. 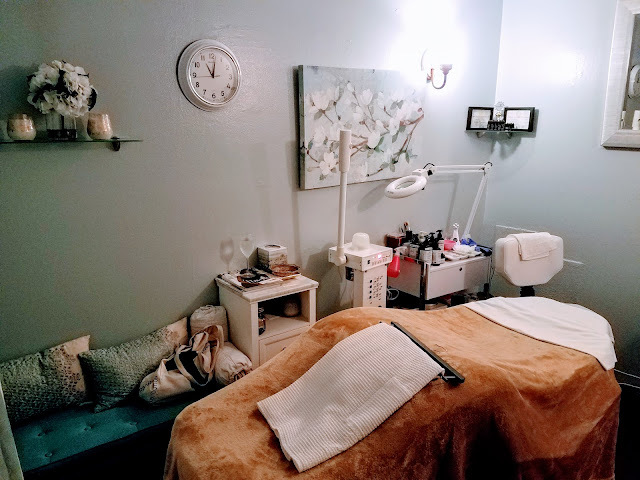 I walked away feeling refreshed, and she even followed up to let me know what steps I should be sure to take to best take care of my skin. I'd definitely recommend making an appointment at MiriEffect if you're in the area and getting your skin refreshed.